03.01.2010, originally uploaded by elizabethlmccoy. 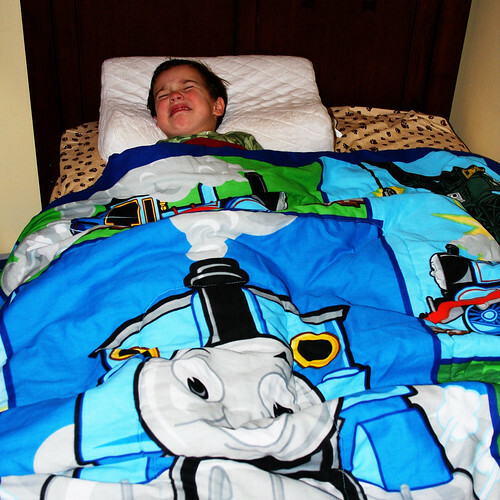 "03.01.2010 The kiddo got a new comforter from his friend Grant. Of course I made him get in his own bed to take a picture and he soo did not want to be in bed at the time. He very much does love the new comforter. "